The 'Dog Tooth' violet is one of the springs best kept secrets. Extremely ornamental, yet fleeting in appearance, the dog tooth violet is a master of both anticipation and charisma. Commonly known as dog's-tooth violet, its name alludes to the shape of the tubers - long, pointed, off-white and shiny. Erythronium dens-canis is the genuine dog's tooth violet, but the hybrid Erythronium 'pagoda' is also sold under this common name. 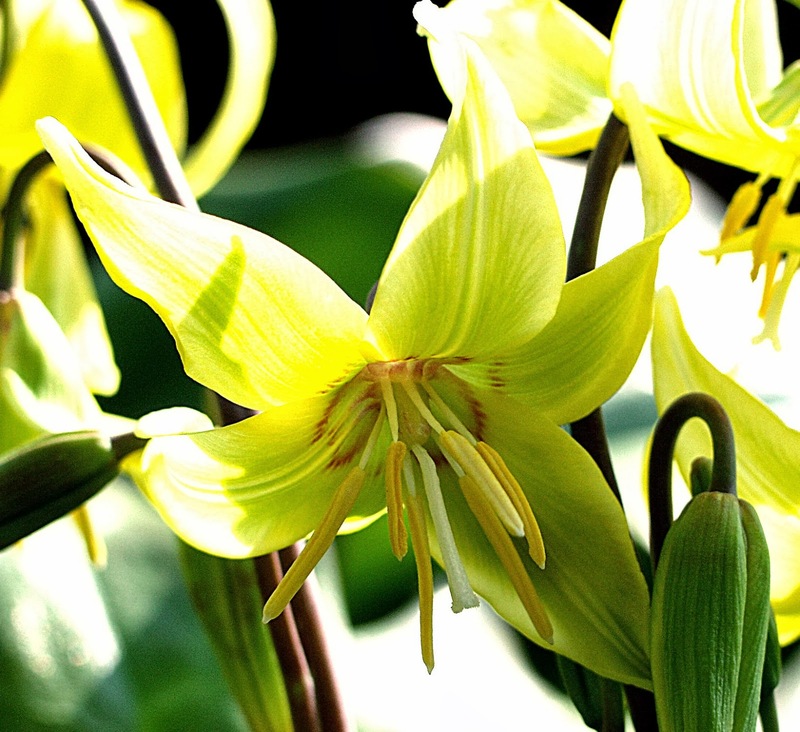 Erythronium 'Pagoda' is in fact a hybrid of Erythronium revolutum and Erythronium tuolumnense. 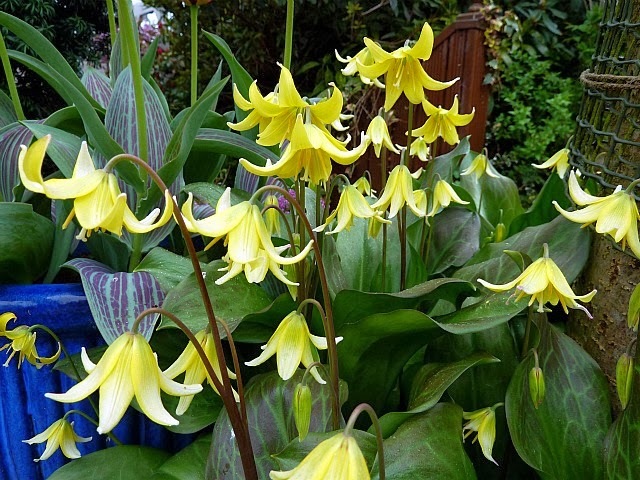 Erythroniums belong to the lily family and, although 'Pagoda' is diminutive - no taller than 18 inches - its charisma is more than a match for their bigger cousins. They appear early in the spring. First to emerge are the beautifully mottled, bronze leaves followed by long, scrolled buds that unfurl into yellow flowers with a central brown ring. Erythronium 'Pagoda' prefers partial shade in moist, but not waterlogged soils. Plant them deep into a humus rich border, but if this is not possible in your garden you can always improve it by adding plenty of suitable organic matter. 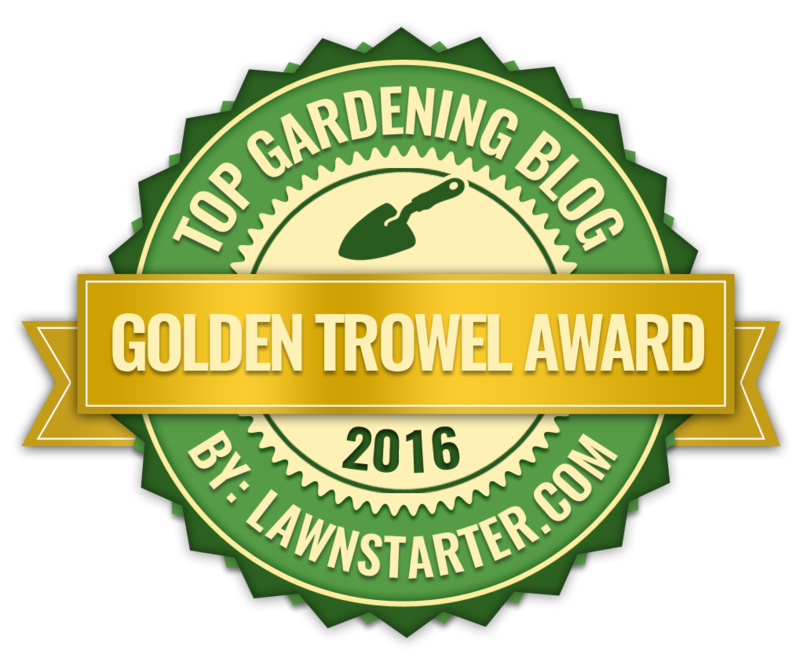 Be aware that dormant tubers must not get too hot or too dry in summer otherwise they may not survive to the following spring. The dog tooth violet is usually purchased as fleshy corms in late summer, and look best planted in groups of a dozen or so. Once planted it should be left undisturbed, but if a move is necessary it is best done as the leaves die back down after flowering.